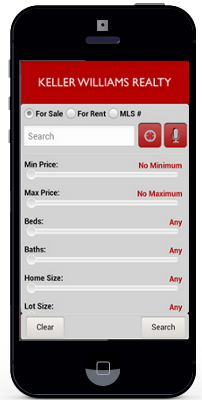 Best of all, because of Keller Williams Realty’s “My Listings, My Leads” philosophy, every single Internet inquiry on your property will come directly to us so that I can follow up quickly on potential buyers for your property. Keller Williams Realty helps us stay ahead of trends in the real estate industry through its comprehensive, industry-leading training curriculum and research resources. It’s what prepares us to provide you with unparalleled service. Founded on the principles of trust and honesty, Keller Williams Realty emphasizes the importance of having the integrity to do the right thing, always putting your needs first. It reinforces our belief that my success is ultimately determined by the legacy we leave with each client we serve. We are proud to work for the fastest -growing real estate company in North America and the third-largest real estate company in the United States. It’s proof that when you offer a superior level of service, the word spreads fast.